Perhaps one of Death Metal’s biggest comeback’s ever, At War With Reality was the return of the Swedish Death Metal masters that quite frankly no one had truly anticipated. Unveiling their first material fifteen years after their seminal Slaughter of The Soul, the band once more elevated themselves with a comeback record from the ages but now, its time for a new chapter. Following the hectic touring schedule that was brought from their rebirth, eventually it was time for the band to return to the studio, yet they would not return as the same entity. Deciding to depart the band in 2017, founding member Anders Bjorler handed over guitar duties to none other than Jonas Stalhammar. Having worked together with frontman Tomas Lindberg and drummer Adrian Erlandsson in The Lurking Fear, Stalhammar was a logical replacement. Forging ahead into the studio, the band emerged with To Drink From The Night Itself a twelve track odyssey into the philosophical world of nightmares. 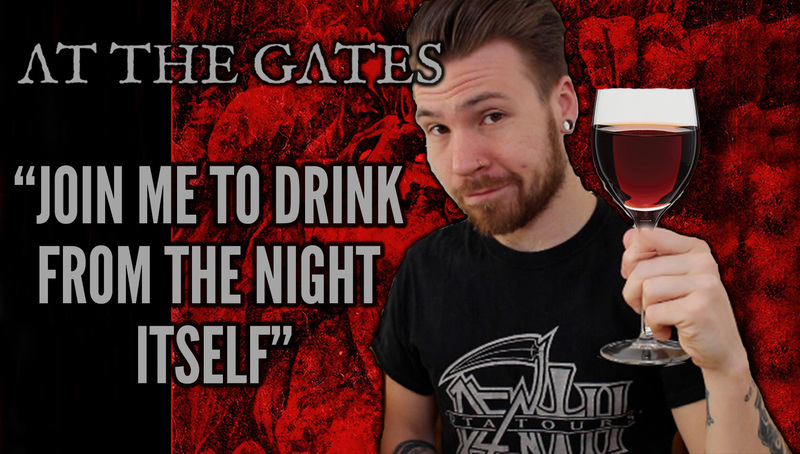 To Drink From The Night Itself is set for a May 18th release and you can preorder the album right here!